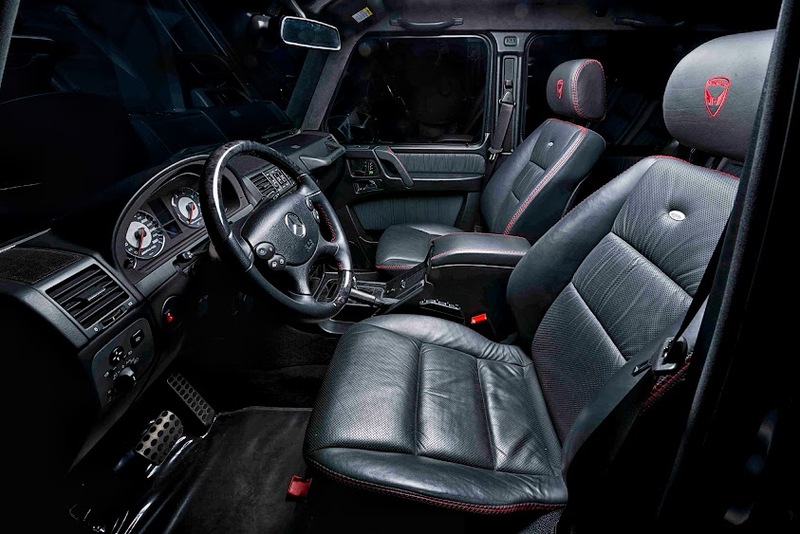 Mercedes-Benz G-wagen, creating an even more aggressive demeanour for the stunning G63 AMG. 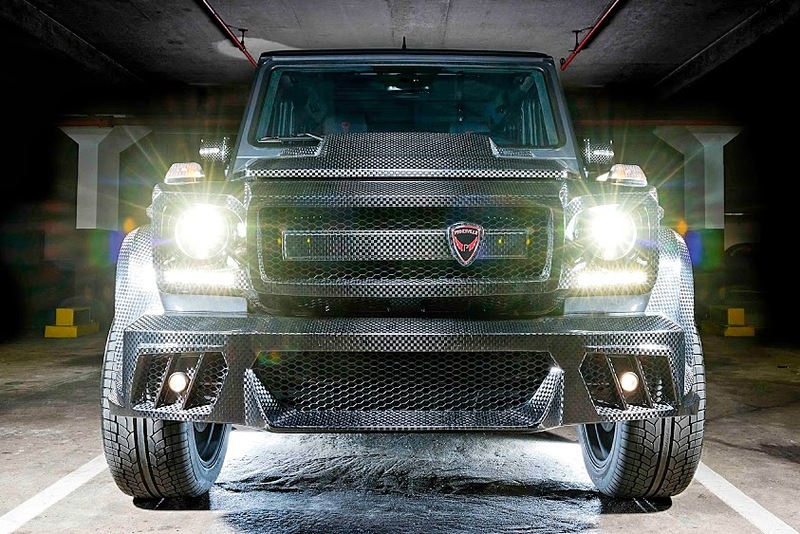 The lightweight carbonfibre kit comprises re-engineered front and rear bumpers, new front grille and headlight surrounds, wider wheel arches, bolder bonnet treatment, side skirts with an anti-slip coating on their upper surfaces, re-designed tail-lamp surrounds, and carbon replacements for the door handles, rubbing strips, door mirrors, induction vents and spare wheel cover. In addition to the body styling enhancements, the Indomitable G is fitted with a set of six-spoke Prindiville Design alloy wheels, engineered for the weight of the vehicle, and uprated brake discs and calipers to cope with an extra 50bhp. The power hike is made possible by a remapped ECU and a Prindiville sports exhaust system; the automatic gearbox’s software is also recalibrated to take into account the performance boost. Further performance tuning is available, according the whim and budget of the customer. The Prindiville Indomitable G’s cabin is retrimmed in high quality leather and Alcantara, although customers are invited to express their personal preferences for a wide range of optional upholstery finishes and colours, as well as a multitude of wood, carbonfibre and metal materials for other interior trim pieces. 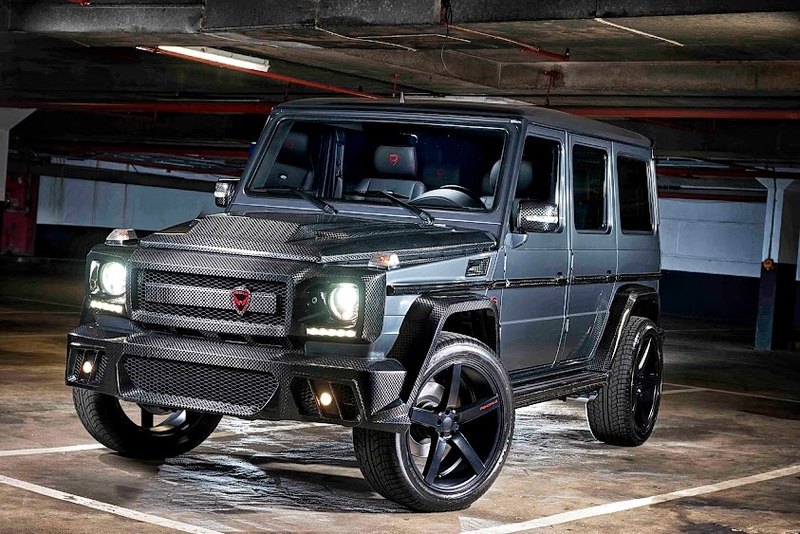 While the Prindiville Indomitable G package is designed specifically for the G63 AMG, various elements of the kit can be applied to different models, enabling customers with older cars to refresh the appearance and performance of their existing cherished vehicle.